Whether it’s a short trip from Little Elm to Lewisville or an epic run to Sturgis, don’t spend time worrying about the unexpected. Ride worry-free knowing you’re covered by the only H-D™ factory approved Extended Service Plan.  Buy an extended warranty at Harley-Davidson® of Dallas in Allen, but use it anywhere you ride. *Some exclusions, conditions and restrictions apply. See contract for details. We offer comprehensive coverage on most major components, parts and systems. All repairs will be performed by factory trained technicians at an H-D® dealership using H-D® Genuine Motor Parts. * Come pick out your bike, take it for a test ride, then we'll go over your extended warranty options with you. If you have a covered breakdown while on the road, you'll receive $75/day (up to $750) for a rental vehicle, $150/day (up to $450) for meal and lodging, and up to $200 for towing to an H-D™ dealership. In the event of a covered breakdown, our H-D™ Service Center can direct you to the nearest H-D™ dealership for repairs. Read what one Dallas H.O.G.® officer said about how a warranty saved his two-week road trip! For an additional surcharge, Optional Tire & Wheel coverage can be added to your Extended Service Plan and will replace tires and wheels if damaged by a covered road hazard.